Melko Dental (Modesto) - Book Appointment Online! 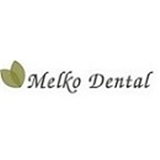 Melko Dental is an eco-friendly dental office with a commitment to our patients’ dental wellness and an emphasis on high quality restorative and cosmetic dental care. Every aspect of our space has been designed to maximize our patients’ comfort and reflects our commitment to an environmentally sound dental experience. We accept PPO dental plans and are contracted with most. However, we do not accept Medi-cal.